You’ve booked your exhibition space, now it’s time to get creative! The challenge at an exhibition is always the same: make sure you stand out at the same time as achieving your objective. Companies exhibit for many different reasons, whether they want to sell to a specific audience, or simply raise awareness in a particular market. Whatever the reason for your presence at a trade show, we’ve compiled a list of exhibition stand design ideas that show how creative you can be no matter what size space you have. 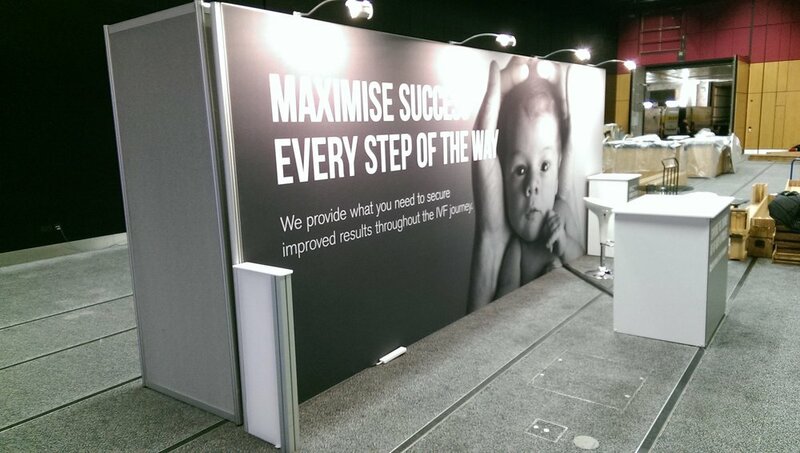 When an exhibition stand needs to capture the attention of visitors, a bespoke exhibition stand is the perfect choice. 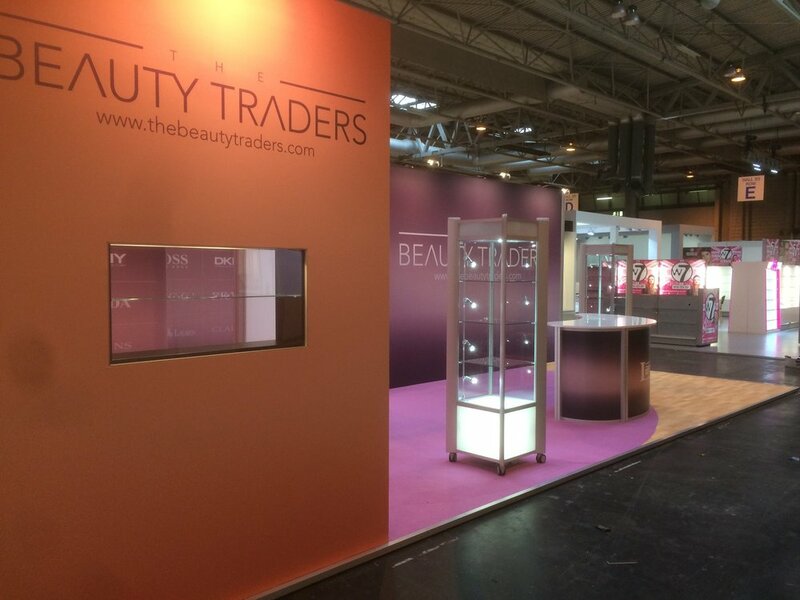 Bespoke exhibitions are manufactured to your specific requirements, using a wider range of materials than are traditionally used in exhibition stands due to the custom nature of the design. Below are some exhibition stand design ideas that were built for large and small spaces, that feature unique elements designed to capture attention. 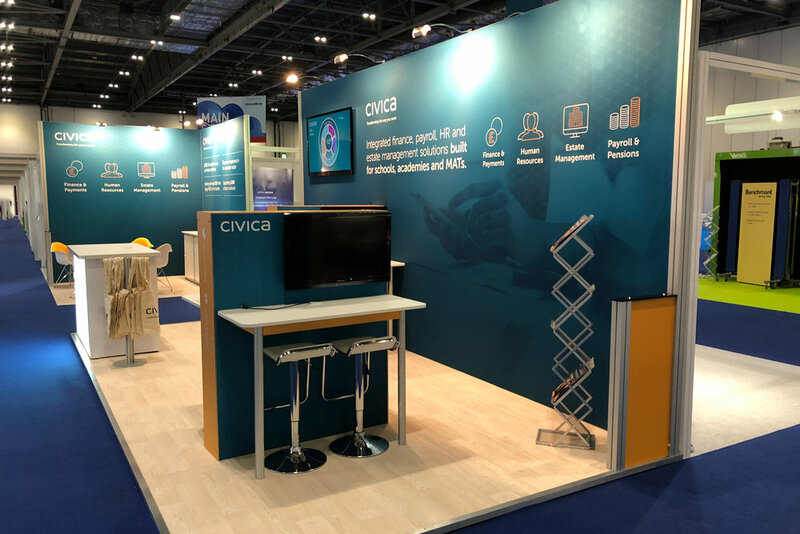 For those businesses looking to step up from a basic pop-up exhibition stand, check out our creative ideas for exhibition stands using a modular system. 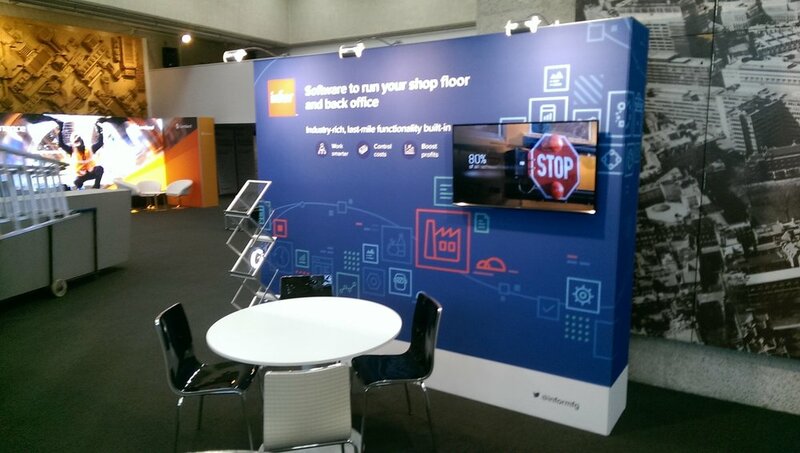 These are perfect for businesses that need more than just a ‘presence’ at a trade show, they need to stand out and attract visitors. 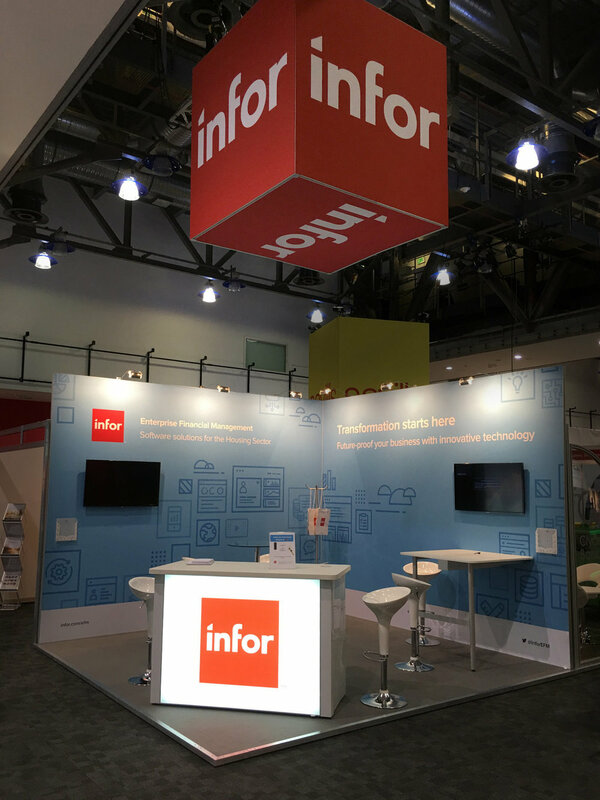 The exhibition stand examples below highlight how adaptable a modular framework can be, catering for standalone exhibition counters, integrated LED lighting, and more inventive uses of tension fabric, such as ceiling-hung banners and wrap-around graphics. 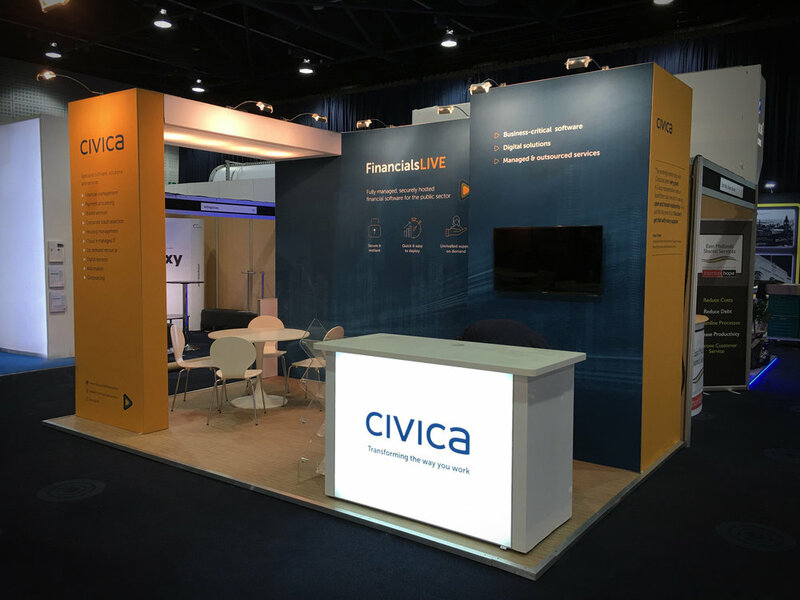 Pop-up stands are often simply pull up banners, but it’s just as easy to create something that combines ease of assembly and a much more professional look. One of the most effective ways to achieve this is by using tension fabric. 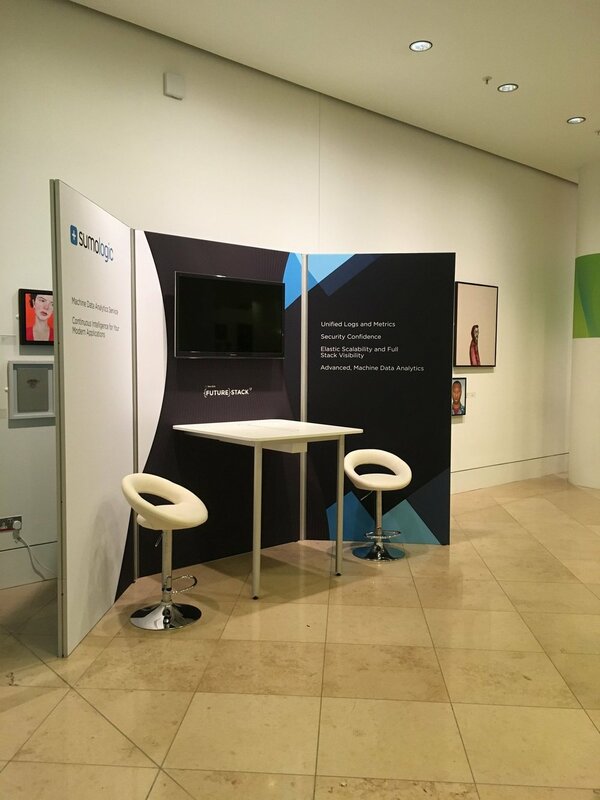 Fabric exhibition stands are made using a modular aluminium system, which means you can reconfigure your display depending on your exhibition space.